Body Bliss Essential Oil Blend is made with 100% pure essential oils and has an herbal, slightly minty, aroma. 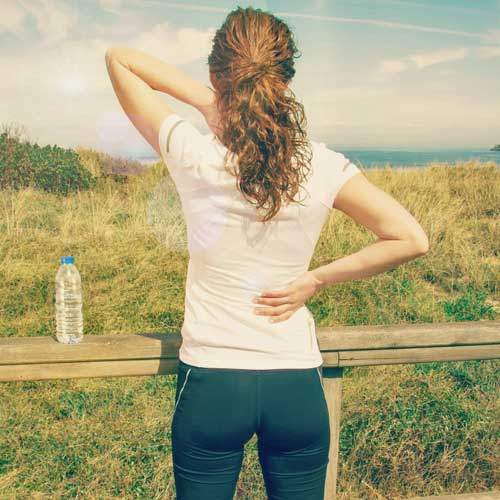 It has been formulated to include essential oils reported by aromatherapists to assist in decreasing routine muscle soreness from over-exertion. 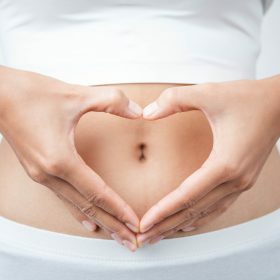 A comfortable body is a blissful body! Body Bliss Essential Oil Blend, is a blend of 100% pure essential oils. 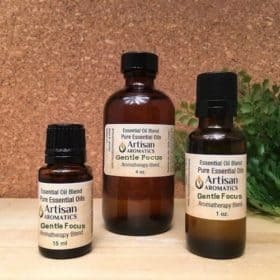 It has a wonderful herbal aroma with a hint of penetrating mint and is comprised of essential oils that have been reported by aromatherapists to assist in decreasing routine muscle soreness from over-exertion. When you’ve over done it on that mountain bike, don’t just sit there and hurt; enjoy a soothing warm bath with Body Bliss. 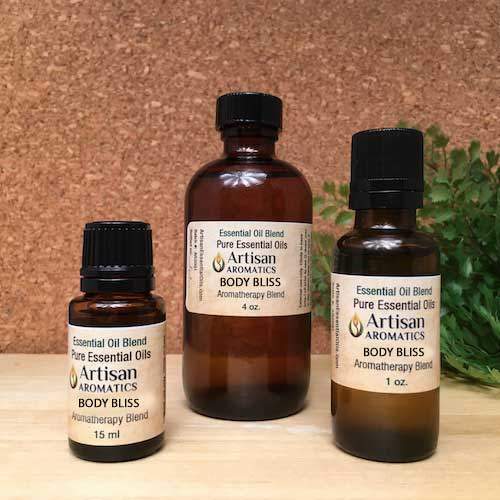 Body Bliss Pure Essential Oil Blend is best used in a warm (not hot) bath, warm compress, or appropriately diluted in a vegetable oil and then applied directly to the skin as a spot application or for whole body massage. To use in a warm bath, add up to 6 drops of this pure Essential Oil Blend to a tablespoon of whole milk and gently stir into warm bath water. 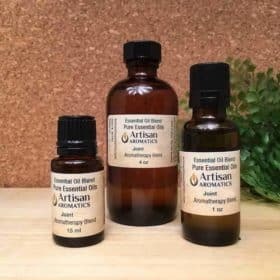 If you prefer, you can also purchase this formula as a convenient, pre-diluted Massage Oil Blend that is ready-to-use for topical application. Please see General Safety Considerations in the box below. 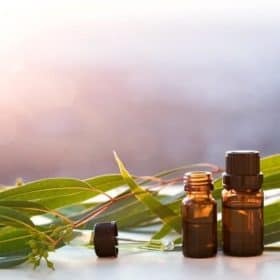 Our Essential Oil Blends are formulated using pure essential oils. 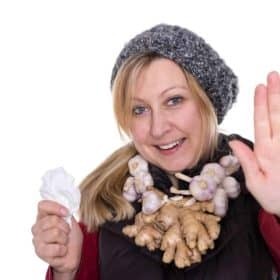 They can be used as-is in a diffuser, bath, or aromatherapy locket but should be diluted before application to the skin. 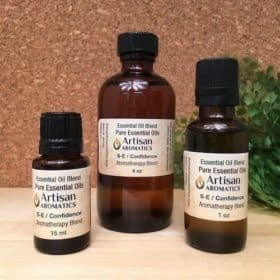 To purchase the same formula in a form that is pre-diluted and ready-to-use on the skin, go to our Massage Oils page where you’ll find almost all of our Essential Oil Blend formulas pre-diluted to 2.5% in our signature massage base (a combination of Sweet Almond oil, Grapeseed oil and Jojoba). Available in 4oz or 8oz bottles.